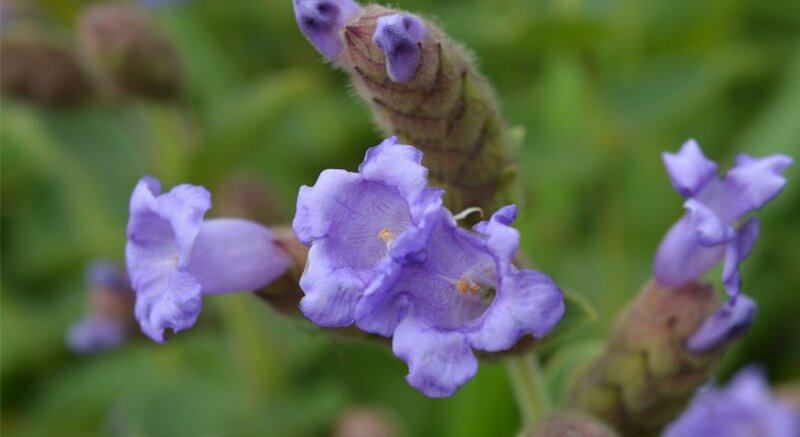 Neelakurinji scientifically called as Strobilanthes Kunthiana; is a flower in various shades of blue color. 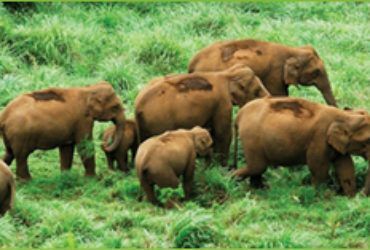 They are dwellers of Shola forests in Western Ghats. The process of once in 12 years befalling on the legendary hills of Munnar is recognized to the blossoming of Neelakurinji. It flourishes on hills at 1300 to 2400 meters above the sea level. The angiosperm has its place to Acanthaceae family with species Strobilanthes. It has about 250 species found in Asia, most of which show uncommon blossoming patterns. 46 species of the species are discovered in India. It has a few sub-species with budding cycles varying from annually to once in 17 years. The Munnar hills alone host around 45 varieties of Neelakurinji. However they all look blue from a certain distance, the varieties of Neelakurinji vary and the period of flowering varies as well. The flowers blossoming in Munnar are the sub-species of flower at an altitude below fixed level i.e. 600 – 900 metersabove sea level. The plant is customarily 30 to 60 cms high on the hills. They can, still, grow well further than 180 cms under pleasant conditions at lower altitudes. 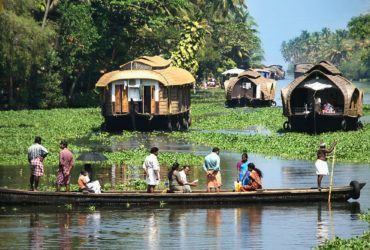 Apart from Munnar, it is also found at nearby places like Kalyanathandu near Vazhavara on the Thodupuza – Puliyanmala state highway and at Parunthumpara, Thekkedy and Vagamon. 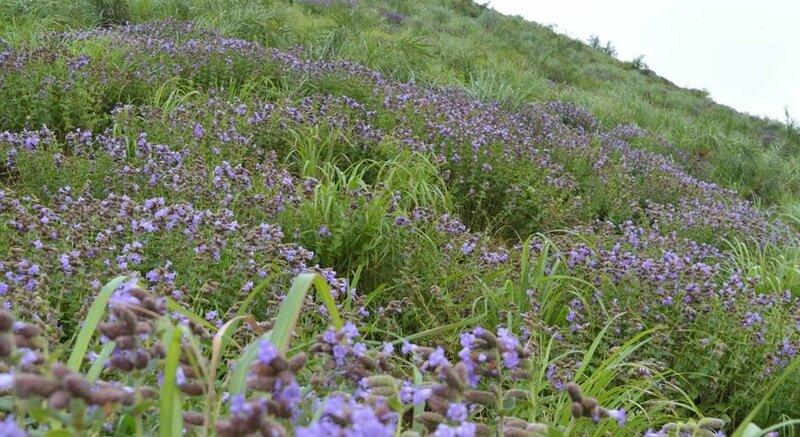 In addition to the Western Ghats, Neelakurinji is grasped in the Shevroys of the Eastern Ghats. 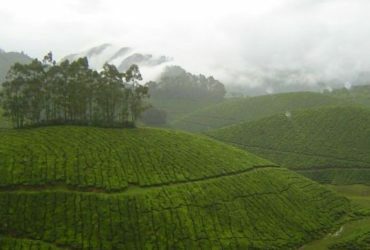 When you are in Munnar, you may discover the charmed flowers of Neelakurinji at Kovilur, Kadavari, Rajamala, and Eravikulam National Park, which is home to the vanishing mountain ungulate- the ‘NilgiriTahr’ and at other places in and around Munnar. As per the previous blossoming time, it start in end of August and last till October depending on the sunbeams makes it all blue covered mountains at a distant view. 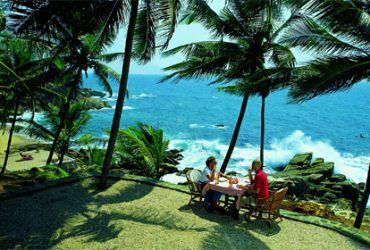 Nature devotees and tourists have by now started travelling for Munnar to relish in this once-in-twelve-year wonder. Numerous tour operators, adventure clubs etc. 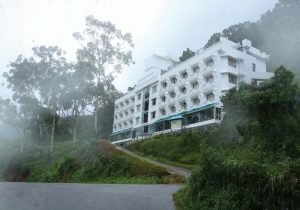 organize trailing for tourists to reach some of the best places in and around Munnar for sighting the magnificent banquet of Neelakurinji.